Yes. 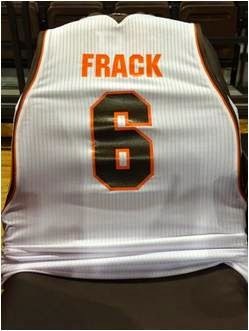 Here's a good thing to talk about...BGSUfalcons.com posted this recently. These are the all-time records in football for each current school in the Mid-American conference. As you can see, Bowling Green has now moved into first place for MAC games and for all games played while a member of the MAC. Traditionally, Miami has been the leader on this measure, and BG is barely ahead of them. The RedHawks have hit hard times in football, going 13-47 over the past five years, a time in which BG has gone 41-26. So, as of today, BG is in the leader's spot. Have some pride, Falcon fans! So, it is (more or less) July 1 and the student-athletes are returning to campus to start the summer program. With that, BGSU has updated the football rosters with number changes, position changes and a couple departures and a couple additions. First, Will Watson is back. He's a CB who will be a senior. He played in 35 games over his first 3 seasons, making 40 tackles with 4 defends and a FR returned for a TD. He was involved in the May 29, 2015 incident with Bryan Thomas and Robbie Rhodes and suspended indefinitely. He did not play last year, but is now listed on the roster. With Stephens out, he could provide some badly needed experience and depth. BG has added Vanel Dossus, a JUCO transfer WR from Mt. San Jacinto in CA. He was productive at that level, with 53 grabs in 6 games, for 841 yards and 6 TDs. That's 15.9 yards per catch, which is really good. As I documented earlier this week, BG has had huge losses at WR and a guy like this could at least get into the mix. BG also added Romeo Masuku, a DB transfer from Rhode Island. He's transferring from an FCS school and should have to sit a year, but apparently there is something about that which hasn't been decided. He played 11 games last year on defense with 5 tackles...so I wouldn't say he was seeing a ton of snaps out there. If you are curious, Rhode Island had the 80th ranked defense. Three defensive players...DB Bobo Jones, LB Harrison Roberts and DL Tyler Horstman, all members of the 2015 class from Coach Babers. None played in a game. Also gone is Sam Crosa, a K from Dublin, OH. He red-shirted last year after being a walk-on and is no longer listed. Obviously, BG has a hole to fill at Kicker. The roster currently lists Nick Fields, Jake Suder and Blake Levin at K.
BGSU Football: Sources tell me DB Clint Stephens will likely miss the 2016 season with a knee injury. Big blow to the secondary. Well, not a good couple of weeks for the Falcon football program. First, as you can see above, Clint Stephens had a season-ending injury. I understand this occurred in the spring game. This is obviously bad most of all for Clint, who is a promising player and had logged significant snaps over both his seasons at BG. It is also bad for the secondary. It may cause some moving around...I think Gourdine might have been lined up to move to S but maybe now he stays at CB and Ben Hale starts at S. Either way, you need a lot of D-backs in today's game and Stephens is a playmaker. This one will be tough. Second, Robbie Rhodes has been dismissed from the program. For those not conversant with the details, Rhodes came to BG after he was dismissed at Baylor for drug-related violations (something that has come to mean a lot more in the past few weeks...i.e., when a whole report was published about guys not getting dismissed at Baylor). He was a very highly touted recruit (5-star) when he went to Waco and just for that reason alone was viewed as having a chance to make a big impact in the MAC. He never did. He made only 3 catches for the Falcons last year. When he came to BG, I expressed some concerns. I'm not crazy about picking up guys who were let go for serious violations at other schools. I don't want to see us become that kind of school. For whatever it was worth, the willingness to take transfers with bad records was cited when Art Briles was let go, and we know that Babers said Briles was his hero. I didn't want BG to get to be like that. Rhodes was involved in the bar fight that caused Brian Thomas to leave the program. I don't know how much people were counting on from Rhodes, but with Lewis and Dieter gone, this was his shot. Of the 8 WRs on BG's season-ending depth chart, five (Lewis, Dieter, Rhodes, Burbrink, Coby) are gone. Remaining are Moore, Scotty Miller and Redding. BG also picked up Darrion Landry, a JUCO WR, and Da'Mario Jones as a graduate transfer from UM. Deric Phouthavong got a little time, there are a couple more guys on the roster and four in the signing class, meaning they have literally just arrived. Catching up a little bit...BGSU went back and cataloged the BG players who are playing professionally right now. Remembering that basketball is one sport where there are more options than just playing in the pros in the US. There are nice livings and huge life experiences to be had overseas (and some increasing opportunities in North America). Two members of BG's coach staff are good examples of that...both Coach Huger and Coach Stacy played a dozen years or more in Europe. (For a complete list of BG players who have played professionally overseas, click here. You might be surprised to know Mawel Soler, Darion Goins, Ryne Hamblet, Chris Knight...and others...have pro experience. First, of course, Richaun Holmes is playing in "The Association," when he experienced a rookie season on the least successful team. Holmes played 51 games at about 14 minutes a game. He had 11 games where he scored in double figures. Anthony Henderson played for the Mid-South Echoes in the ABA. (The ABA is a semi-pro league that actually has 70 teams. In fact, you can reserve a market on the home page. A'uston Calhoun has just re-signed with Angers ABC 49 in France. They compete in NM1, which is the third level of French basketball. Calhoun scored 15.9 PPG and 6.7 rebounds in 11 games after joining this club. Jordan Crawford is playing for the Westchester Knights of the D-league. He played in 49 games, made 6 starts, and scored 8 points a game with 2.4 assists. He had a big year before that in Cyprus when he scored 27 PPG and was the playoffs MVP, undoubtedly setting the stage to be drafted in the D-league. Scott Thomas has been very successful in Belgium. He plays for Hubo Limburg United and led the team in both scoring and rebounding with averages of 14.6 points and 6.9 rebounds per game. Thomas was named to the Eurobasket.com All-Belgian League First Team. He is playing in the top league in Belgium. Mike Dabney (MIKE DABNEY!) a walk-on who saw minutes (and contributed) late in his BG career, is playing in the pros in Mexico for Ostioneros De Guaymas. Dabney, who has played in 32 games on the season, is averaging 14.4 points, 4.3 rebounds, 1.3 assists and 1.0 blocks per game. They are actually still playing in their playoffs. The team is in the semi-finals, down 2-1. The next game is tonight, 6/27. Nate Miller, the leading cog on the last Falcon regular season title team in 2009, is still active, playing in Isreal. On the season overall, Miller played in 23 games where he averaged 18.8 points, 7.9 rebounds, 4.0 assists and 3.7 steals per game. Martin Samarco, a JUCO G who contributed some scoring to the late Dakich years, playing now for the Panteras de Miranda in the Venezuelan League. In 29 games, Samarco averaged 14.4 points, 3.8 rebounds and 2.3 assists per game in 28.8 minutes of action per contest. On a coaching standpoint, Jay Larranaga is an assistant for the Boston Celtics and I believe will end up being a Head Coach in the NBA some day. Also, Cam Black II is a scouting assistant for the Atlanta Hawks. As always, best wishes to our Falcon alumni. We are proud of you everyday. Here's another verbal for the football program. This young man is RB Calen Taylor of St. Louis, MO. He's taken a little bit of a circuitous route to get to BG. His team won its first state title his senior year in HS and he signed a LOI to attend the United States Military Academy. Based on some detective work....this article says that he was hoping to score well enough to be a direct admit as opposed to prep school and this article lists him as a prep player who left during the school year and would not be playing for the Academy proper. Taylor had 22 touchdowns as a senior and rushed for 1,117 yards. He scored a game-tying touchdown on a 2-yard run in the third quarter of a 31-24 win over Rockhurst that gave the Cadets their first ever football title. He scored 41 TDs in his HS career. 247 had him as a 2-star coming out of HS. I'm no recruiting rules expert, but in general the transfers from prep schools do not lose a year of eligibility...I believe Roger Lewis did this as well. The language is that prep school is a 5th year of HS...I don't know if that applies to Army Prep or not, though I assume it does. Welcome to the Falcons, Calen. So last week The Blade wrote an article and an editorial about athletic finances in the MAC. Here is the lede, which more or less tells you what you need to know. The cost of athletics in the Mid-American Conference has risen more than 75 percent in the last 10 years — and students at the universities are footing much of the bill. This idea isn't new to anyone. I have written about it here many times. Essentially, college athletics only break even at a couple of schools in the whole country and the problem is much worse in the MAC. The losses are made up by student fees...so essentially students are subsidizing college athletics and MAC athletics. Faced with these deficits, the article says that the MAC--rather than tightening its belt--went on a wild spending spree as part of an arms race with the P5 schools. BG and UT are the least subsidized of any of the MAC programs, but even those programs are heavily subsidized by student fees. BG and UT reps say that athletics are important to the University's enrollment. UT AD Mike O'Brien says athletics are "a big portion of the social life." I'd feel better about that argument if I saw more students at the games. BG gets good crowds for football sometimes, but it dwindles as the game goes on. I don't see many students at basketball games and the student section is tiny, as if that was expected all along. To be fair, BG is the lowest spending school in the MAC, and that includes supporting a D-1 hockey program. President Mazey justifiably expresses pride that BG has had the success it has while holding the line on spending. But, you don't want to lose the larger point. Essentially, how long is it sustainable for college students to pay the salary of coaches? The Blade wrote an editorial on this same point, and while it acknowledged that for students who love sports the fee might be fair, "maybe it is not for the student working two jobs to pay for college and watching tuition and fees rise." The editorial also called the spending "senseless" and "unjustifiable." Even for students who are sports fans it is a steep bill. A BG graduate pays $3,200 to subsidize athletics...and would be better off buying tickets if they love the games that much. Look, I love Falcon sports. I have loved them all my life. 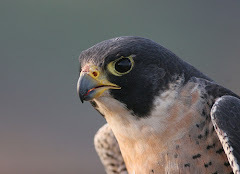 This blog is about my love of Falcon sports. I just think the path this is heading on is obvious and unsustainable. (As a cautionary note, C-USA just signed a new TV contract that saw its revenue fall from over $15M to under $3M). There's a limit to how much you can force college students to pay for the salaries of football, basketball, and hockey coaches, particularly when you don't see more than 20% at a game. Either more non-student money is going to be needed (and all of it from people who have a choice), or you're going to have to start spending less. Like, a lot more of the first or a lot less of the second. The Falcons have yet another verbal commit this week, and it is another 3-star player, based on 24/7 sports. I have been vocal about my concerns with the coaching staff, but they are clearly succeeding at getting highly-rated recruits that other schools want. This is incredibly important, though just one part of winning championships...but credit where credit is due. This young man is Andrew Clair of the St. Louis University HS in Portland....OK, no, it's in St. Louis. He's a 5'9"170 lb all-purpose back...according to 24/7 the #25 such back in the country and the #8 player in the St. Louis region. As a junior, he rushed for 1,303 yards, which is 8.9 YPC and 21 TDs. He also had offers from Ball State, NIU, North Dakota State, South Dakota State and Northern Iowa. Welcome to the Falcons, Andrew. So, the Falcons have their 11th verbal and fifth this week. This young man is Walter Haire of North Central HS in Indianapolis. Walter is a 6'3", 225 LB/DE who had an offer from Toledo and unofficials to Indiana and Purdue with interest from UC, Iowa, Illinois and others.. He made Indiana Class 6A All-State and made Honorable Mention on the Central Indiana All-Star team. Welcome to the Falcons, Walter. As it turns out, it was 2 Flordia verbals for the Falcons from Sunday night, which I found on twitter about 9 seconds after I posted the previous post. They are both defensive players and HS teammates at Sebastian River HS in Florida (which is in the Palm Beach area)...Ron Freeman, a 6'0" 270 LB DT, and Wayne Parks, a 6'0" and 180 lb S. That's 10 commits and 4 on defense. Freeman and Parks are No. 4 and No. 6 on the TCPalm Super 11, respectively. Freeman had 64 tackles, 13 tackles for loss, 8 sacks, 1 forced fumble and earned honorable mention on the all-area team in 2015. He is rated a three-star recruit and the No. 84 defensive tackle in the nation by 247Sports.com. He had FBS offers from Navy, FAU, Georgia Southern and Middle Tennessee as well as a number of FCS offers. Parks, who also plays running back for the Sharks, had 64 tackles, 1 tackle for loss, 3 forced fumbles and 1 interception last season (that is, very productive as well). Parks is unranked by 24/7, which reports that he had FBS offers from Georgia Southern, Middle Tennessee and Mississippi State along with a handful of FCS offers. Ron and Wayne...welcome to the Falcons. So, BG has picked up its 7th and 8th verbals for the '17 class. There was a lot of twitter-fiving this morning about a Florida verbal, but that has yet to be revealed. Both of these young men are WRs, making 3 WRs in a class that currently consists of 6 offensive players. The first is Quintin Morris. He's from Richmond, TX, SW of Houston. Quintin is a 3-star recruit on 24/7, and had offers from Abilene Christian, Army, Citadel, Navy and New Mexico. Obviously, with 2 military academy offers, academics have to be strong. He's 6'2" and 200 pounds, which is a pretty good combination for the MAC. He was 2nd-team all-district as a junior. He plays at George Ranch HS, and they won their first state championship last year, beating their opponent 56-0. Quintin caught one pass in the game for a 22 yd TD...they threw only 6 in the whole game. The second is Matthew Wilcox. He's also a 3-star player...from Wayne HS, which is in Huber Heights, OH, which is the Dayton region. He is ranked as the #197 WR in the country and the #57 player in Ohio. He had a lot of MAC offers...Ball State, CMU, EMU, Kent, Ohio, Toledo and WMU....in addition to UC, EKU and he made unofficial visits to Indiana and Penn State. He's 5'10 and 185 and would appear (therefore) to be a slot guy. As a junior, he ran the ball 37 times for 269 and 6 TDs (all of them in the red zone) and had 58 catches for 753 yards and 9 TDs, He also had a notable sophomore season and was first-team all-conference as a freshman. Wayne finished #2 in the state last year, and in the title game Wilcox and 3 TDs on 11 touches. Quintin, Matthew....welcome to the Falcons. Bowling Green outside receivers coach Andrew Sowder no longer on staff. Sounded as if he and Mike Jinks simply weren't on the same page. Here's a mid-June football update. Andrew Sowder leaving BG. He was one of two holdovers from the Babers staff, which is now done to 1 and none on the offensive side of the ball. (Babers famously told the media in Syracuse he was bringing all the "good" assistants with him). I don't have any more insight other than what Thomas wrote. Could be more coming out...Sowder initially came to BG in an administrative role and then moved to a coaching role for the second season. He's a long-time Texan, but Texas is a big state and apparently just being from Texas alone is not enough. Apparently still on the same page with Jinks is Marcus White, who was charged with assault in a student bar on May 11, now more than one month ago. If there have been any ramifications from that beyond the administrative leave from when it happened, they have not been publicized and White is still listed on the website. (So is Sowder, for that matter). FWIW, White has not tweeted since the incident occurred.